Online retailer ShopTo may have outed the Mortal Kombat team's plans for a new collection of some of the series most fondly remembered games by revealing the Mortal Kombat Arcade Compilation. According to ShopTo's listing—spotted by CVG and quickly pulled—the PlayStation 3 title will include Mortal Kombat, Mortal Kombat II and Ultimate Mortal Kombat 3. It would ship in November and carry a budget price, according to the listing. Two of those games have been released on Xbox Live Arcade and PlayStation Network, but were pulled from those services after the collapse of Midway. 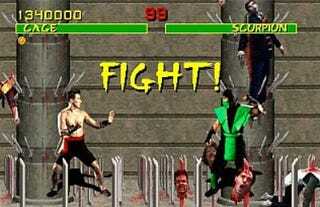 The next Mortal Kombat game is due for the PlayStation 3 and Xbox 360 in 2011. We'll be talking with the Mortal Kombat team at Gamescom 2010 this week, so we'll see what else they have to say about this release.